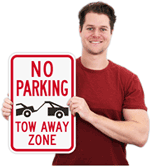 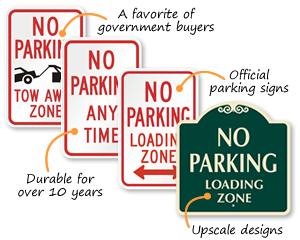 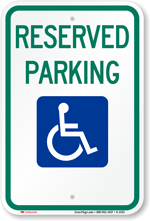 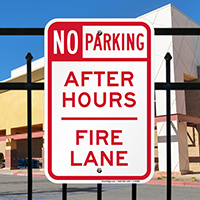 Install no parking signs in fire lanes to prohibit parking during after hours. 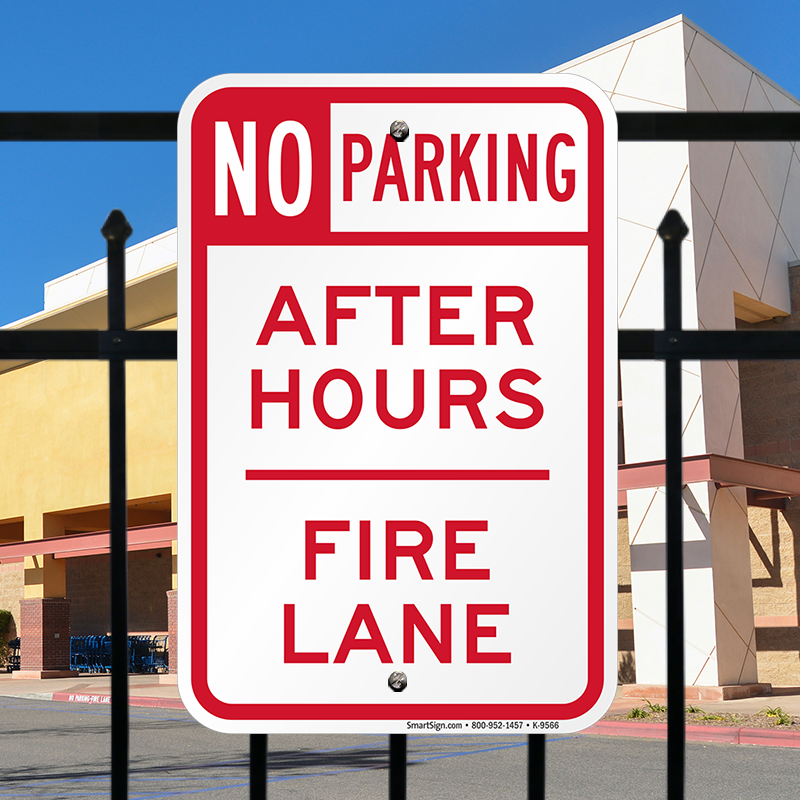 • Bold legends grab attention from afar. 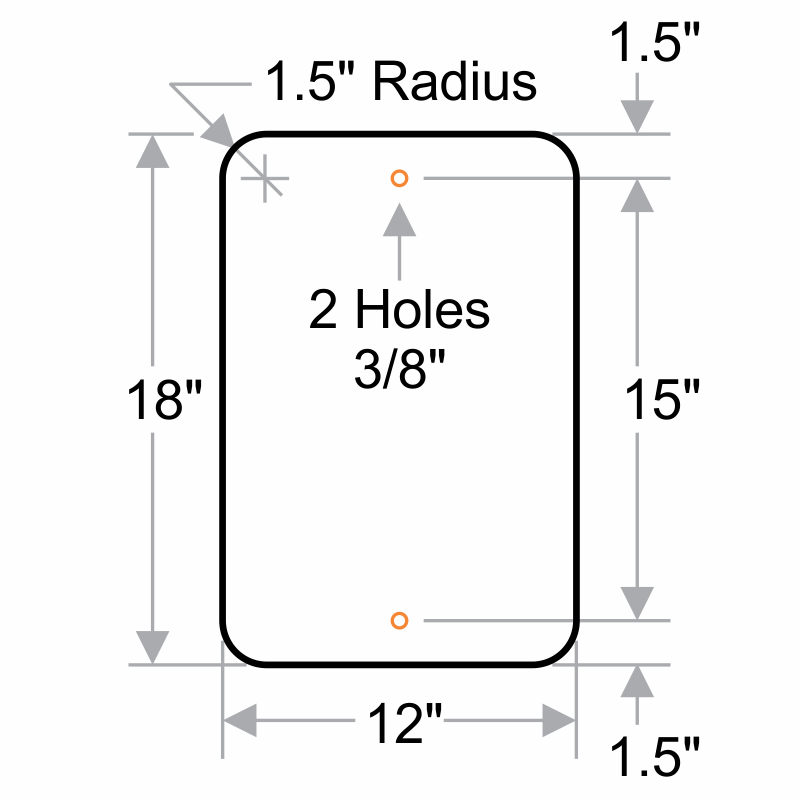 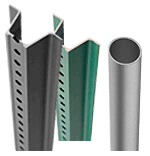 • Signs feature pre-drilled holes for quick installation.